*Despite Jill Scott’s “The No. 1 Ladies’ Detective Agency” being something like a hit to some, the show kind of fizzled off of HBO due to poor ratings. Now folks are trying to bring it back. Supporters on social media networks are petitioning for the show’s comeback. 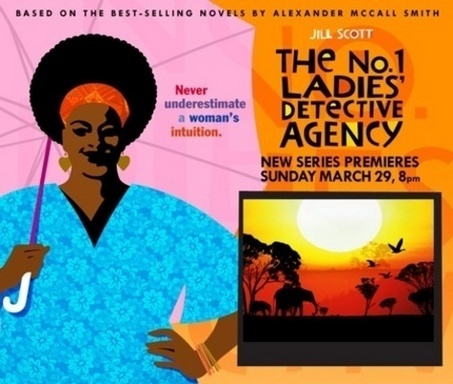 The series, based on the novels by the late Alexander McCall Smith, focuses on the story of a detective agency opened by Mma Ramotswe and her courtship with the mechanic Mr. JLB Matekoni. Scott’s co-stars in the show included Anika Noni Rose, Lucian Msamati and Desmond Dube. So fans aren’t buying the “poor ratings” banter and are moving forward with the push to revive the series in one way or another, according to movie site Shadow and Act. There were talks in the past to bring it back in a two part movie format. But nothing has been finalized. If the power of the fan and social media networking work their magic, the show could be back on sooner than later. Click here to see/sign the virtual petition. Yeah, i have to say, i was disappointed when i realized they weren’t gonna bring this show back. I mean, the way they ended it, with her excepting the marriage proposal, of the mechanic, deserved to be continued on. It was very entertaining to watch, so i hope the show gets another chance to continue on. I think part of the reason that it wasn’t brought back was that the direction & driving force of the show had died before it aired. Agreed…Anthony Minghella died shortly after filming the series. Unfortunately, EUR confused his death with that of the author, Alexander McCall Smith, who is very much alive. Hopefully, it’ll be brought back in one form or another. If not, there are always the books. I never watched to the show becuase it was a HBO (which I cannot afford on my cable bill)however I wish we could get it on another service like BET or something like that would be great.Hope TV One or someone with some BET will tke a look at it amd maybe we can get it back on I understand it was really good! I hope they bring back as well. I didn’t get into the show until late, but caught the re-runs and got up to speed and really liked the show. Yeah, with the way it ended, I want to know if they actually marry. This was a really nice show, Jill and Anika-Rose did an excellent job with the accent and characters. This is something that Oprah should have gotten behind, it would have definitely gotten a boost, but unfortunately “O” picks and choses certain people to sponsor….Jill could have used her help.